So, lets talk about sunflares some more, or rather, wanne see some? I found this video thats worth checking out, simple explanation, great footage. And as they say, the peak of this activity on the sun will be going well into 2013, so another good reason to learn how to deal with this energy. As they say in the video, solar maximum is every 11 years, nothing spectaculairly new about it, but what they do not mention is that this one is absolutely special. Scientists are mostly not looking at what this energy does with our emotions, but that is exactly what makes this one special. 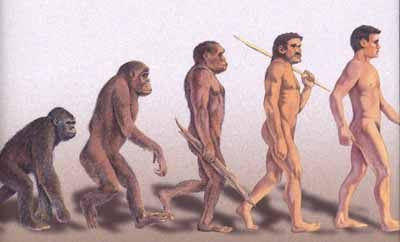 We all know this image of the ape turning into a man. What if these changes did not come so gradualy as we think? What if these changes were induced by these special solar maximums, and brought on changes in big jumps at a time? And what if thát is what we are going through? What if we are making a jump like that now...from the human we know and have been, to the superconscious human? I love to think so, a human being that is able to love unconditionally, maby even unable to not love unconditionally...because we will be able to feel what the other feels, to experience what the other experiences. See...how would you hurt another if everything you give is not just what you get, but feel directly. How would you not give as much love as you can, to experience as much love as you can.